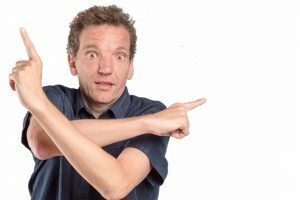 You couldn’t make it up; surely the German Comedy Ambassador Henning Wehn hasn’t bosched out yet another new show? And what’s he still doing here anyway? Well, his lack of transferable skills is what keeps him here and his belief that practice makes perfect is what keeps him going. If you don’t know him already from his stints on 8 Out of 10 Does Countdown, this show is a much needed call to arms. Listen, everyone: stop pondering and hand-wringing. Instead get on your bike and put your face to the grindstone! Jess is a quadruple award winner known for her appearance on Britain’s Got Talent in 2017 as one of their most memorable impressionists. 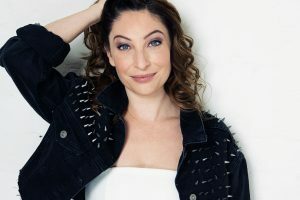 Since then, this contemporary comedian has launched her new tour No Filter where she will combine her many guises to create one hilarious concert. Packed with impressions of all your favourite stars, this show is not one to be missed. 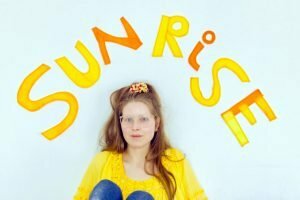 Famously known for playing Lavender Brown in the Harry Potter films, Jessie Cave has now taken to the stage as a comedian in her hilariously dark and giggle-worthy new show about her break up from fellow comedian Alfie Brown. Sunrise is filled with Cave’s tales of relationships, children, rejection and abuse, all weaved in with her compelling charm and side-splitting black comedy. 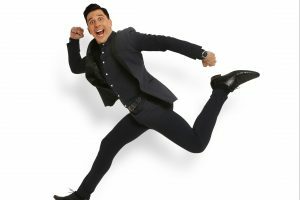 Multi-award-winning actor, comedian, presenter, and author Russell Kane is known for his appearances on Live At The Apollo, Celebrity Juice and I’m A Celebrity Get Me Out of Here Now. His new show The Fast And Curious is packed with “more energy that a Duracell factory” and promises to be night full of laughs, mischief and light hearted comedy all round. LAVA ELASTIC, Fri 15 Feb, Sweet Werks: One of the UK’s first openly neuro-diverse comedy/cabaret shows, the ever-popular Lava Elastic is back with another exceptional line-up. LIVE AT BRIGHTON DOME, Sat 9 Feb, Brighton Dome: Saturday night is sorted as Brighton welcomes more fantastic stand up stars for a night of epic comedy gold. ALFIE BROWN, Tues 12 Feb, Komedia: In his first UK tour Alfie remains both hilarious and disgusting in his new show, Lunatic. THE TREASON SHOW, Fri 22 Feb, Ropetackle Centre: The Treason Show returns with their trademark side swipes at the great and good, with well-aimed punchlines and gleefully risqué parody songs. AHIR SHAR, Thurs 28 Feb, The Old Market: See Edinburgh Comedy Awards nominee, Ahir’s new show about life, death – Oh and Bohemian Rhapsody. MARK THOMAS, Fri 1 – Sat 2 Mar, The Old Market: He’s 54, the NHS is 70. Thomas thinks it’s about time they both had a check-up in his hilariously analytical show.